June 2015: Get $50 Reward Card with Your Next Belotero Treatment! Get Your $50 Reward Card with Your Next Belotero Treatment! Plus, Use Your Reward Card in the Skin For Life Boutique and Save 10% Off Your Purchase! 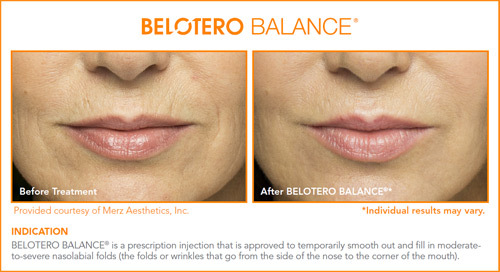 Belotero is great for smoothing out etched-in lines and wrinkles, such as vertical lip lines or nasolabial creases.